This year is the year of live streaming, and yes…I know that I said that last year as well, so maybe more accurately we are in the age of live streaming. Streaming and casting applications have come a long way in just these last few years and Ecamm Live is establishing itself as one of the best in an increasingly crowded field. 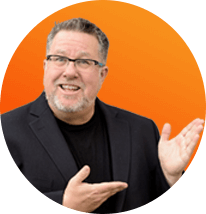 Ecamm brings to the table some tools and tricks that are straight out of my broadcast television days. I am absolutely gobsmacked that what used to require a huge control room with dozens of systems can now all be done in the comfort of your home. Let’s see what you can do with it! Now, when we talk about live streaming apps like Ecamm (which is a Mac-only product, by the way, there’s a link below to a Windows alternative*) what we’re really talking about is switchers. 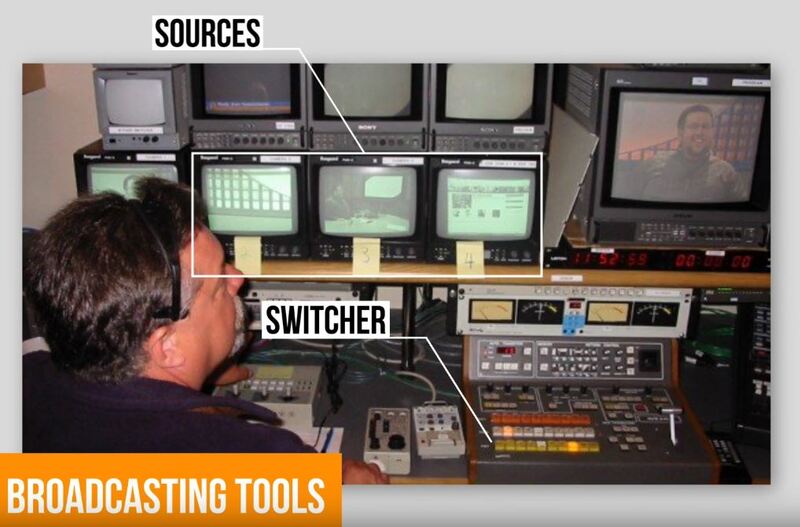 A switcher is, historically, a piece of broadcasting hardware that takes a variety of sources, consolidates them, and then picks and chooses which source is broadcast at a time. 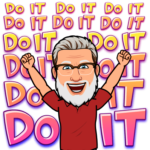 If you’ve ever seen a video of a broadcast control room and the Director is shouting out different numbers corresponding to different cameras depending on what they want to see at a given time, the switcher is the piece of equipment that allows that to happen. This means you can do so much more with these apps than you could before. Multiple camera set-ups are now easily manageable and seamlessly integrated. The best way to introduce you to the potential of Ecamm is by introducing you to their Scenes function. The Scenes window in Ecamm allows the broadcaster to pre-program all the assets they want to show during their broadcast. This includes video files, text boxes, transitions, picture-in-picture and perhaps most useful; different shots from different cameras. The Scenes function is essentially a script of video assets for your broadcast. How does this function in real time? By using keyboard shortcuts, the assets you pre-program into your Ecamm broadcast are all available on-demand. With a stroke of a key combination, you can switch cameras to a two-person shot of you and your guest, a graphic showing your social account handles, or an adorable close-up of your dog sleeping on their bed being totally indifferent to the technological marvel happening around them! You can even set up a camera feed from a high-quality DSLR for the best picture quality possible. Put it on a tripod in the corner for a wide-angle! Have it shooting down toward your desk to show fine detail on a model or the internal workings of a gadget you’re trying to fix. The Scenes function is a great place to start with Ecamm because it begins to introduce you to all the different options and tools you now have at your disposal. Some other highlights of Ecamm include the community management tools found in the Comments & Reactions section allowing you to read and respond to comments on whatever platform you’re casting to. 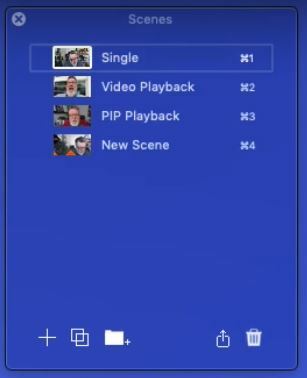 The Overlays section allowing you to apply different overlays on top of any of the previously pre-programmed video assets in the Scenes section. Compatibility with Facebook, Youtube, Periscope, and Twitch allowing you broadcast to any of the major platforms seamlessly. The ability to add guests using Skype; meaning your guests don’t need to have Ecamm to still be on your Ecamm broadcast! It’s truly incredible what can now be done in a home studio. What used to require a dozen trained crew, a couple dozen different machines, systems, and computers, and one handsome television host now only requires a computer, an app, a webcam, and one still handsome…albeit greying…host. *We recommend vMix as a Windows alternative to Ecamm.